“The Art of Atari” is the first official collection of such artwork. Sourced from private collections worldwide, this book spans over 40 years of the company’s unique illustrations used in packaging, advertisements, catalogs, and more. 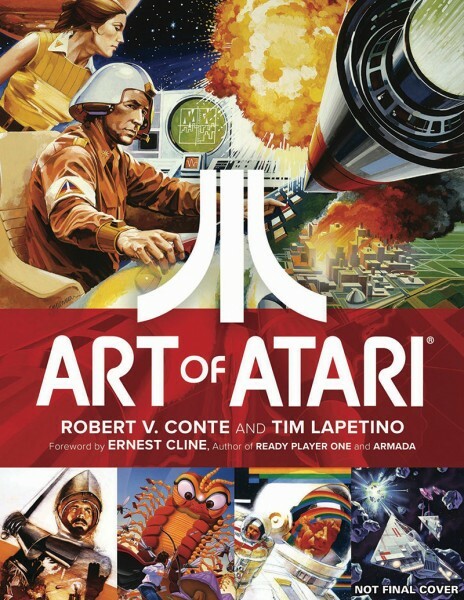 Includes a comprehensive retrospective collecting game production and concept artwork, photos, marketing art, with insight from key people involved in Atari’s rich history, and behind-the-scenes details on how dozens of games featured within were conceived, illustrated, approved (or rejected), and brought to life! Looking at the artwork as an adult I’m fascinated by the detail and time spent on something that I, as child, barely noticed.